Started in 2000 by French Doctor Pierre Dukan, the Dukan diet promises rapid weight-loss and is the most popular diet in the United Kingdom - boasting Kate Middleton, Jennifer Lopez, and Gisele Bundchen as adherents. Any time a diet is that popular for so long, it's worth looking into exactly what it is and what it has to offer. The diet includes both food and exercise. Unlike many other diets, the Dukan diet does not require you to count calories or even portions, as long as you to stick to the list of allowed foods. All the foods on the list are natural, whole foods that are minimally processed. The one, slightly odd, exception to this is the allowance of artificial sweeteners. Although the diet is, as mentioned, a low-carb affair, you'll be eating a fair amount of oat bran during each stage. Despite its carb content, this high-fiber ingredient expands to many times its normal size in your stomach, keeping you feeling full and normalizing your blood sugar. During each stage of the plan, you're expected to exercise. Walk for 20 to 30 minutes every day. The diet also recommends several strength training routines that will complement your efforts. 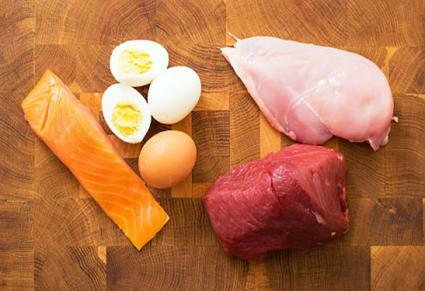 To help your body adjust, the Dukan diet is divided into four phases. You're also required to eat one and a half tablespoon of oat bran every day. Six cups of water daily is also required during the Attack Phase. Cheating is strictly not allowed. The daily dose of oat brain rises slightly to two tablespoons each day. You'll need to continue drinking plenty of water. This phase will last until you hit your goal weight. Now that you've reach your goal weight, you'll need to establish a healthy eating pattern that will keep the weight off in the long-term. This phase will last five days for every pound you've lost. You can mix your meats and vegetables freely, as long as you stick to the approved list. You'll have one Attack day each week, where you go pack to the protein-fest of Phase 1. Each day, you can have one serving of fruit, two slices of whole-grain bread, and an ounce and a half of cheese. For each week during Phase 3, you can have two servings of something starchy like pasta or bread. You can enjoy two cheat meals each week, wherein you can eat anything you want as long as you don't place the meals back-to-back. You'll continue with your daily oat bran regime. This is the long-term maintenance phase, which allows you to eat whatever you want within the rules you followed during Consolidation. One day each week, however, you'll go back to the all-protein Attack rules. Your daily dose of oat bran jumps up to three tablespoons at this point. Stabilization is intended to be followed for the rest of your life. Largely due to its highly restrictive nature, the Dukan diet will absolutely help you to lose weight. This loss will likely happen very quickly. It should be noted, however, the majority of the initial weight loss will be water weight. Actual changes in body composition will come later. The following are advantages of the diet. The diet also has some drawbacks. Despite difficult structure and rules of the Dukan diet, it has a 92% user rating on Diets In Review with many reporting long-term success on the program. One dieter reports having lost 105 pounds in 14 months - a loss that was maintained for six months at the time the review was written. Those who follow the program do note it can be a challenge and warn that you can quickly gain the weight back if you do not strictly follow the prescribed diet. Still, experts recommend caution, giving the Dukan diet a rating of just 2 out of 5 in U.S News and World Report. Whether you decide to use a particular diet or not is a highly individualized choice. The Dukan diet is a proven weight loss approach that, despite its results, also brings with it a significant challenge. Many people may find it hard to not only follow the program, but also to do so long-term. If you're considering using the Dukan diet, speak with your doctor first.